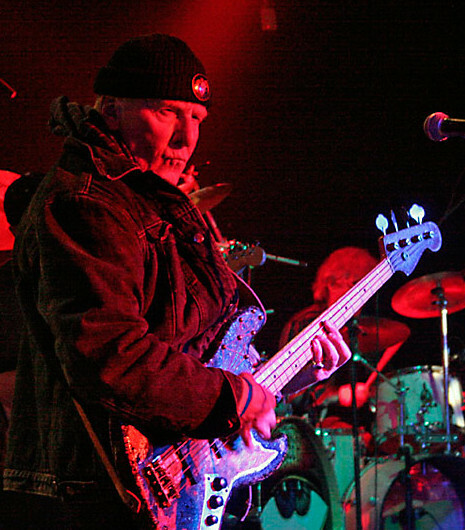 Bassist Lothar Meid, who was a founding member of Embryo, died on 3 November, 2015 in Hamburg. While not individually well-known, Meid was a key player in several of the central bands of the German rock scene of the 70s. He also composed a number of film soundtracks. Meid was born August 28, 1942 in Babenhausen (Schwaben), and in the late 60s was involved in composing movie soundtracks. In 1969, he helped found Embryo, though he never appeared on any of their recordings until two tracks appeared on a reissue of Opal and the For Eva collection. He worked with Klaus Doldinger off and on from 1969 to 1973, both on solo projects and in Passport. But it is with Amon Düül II that he had his greatest tenure, beginning in 1971 with Tanz der Lemminge and continuing until 1974's Hijack. He rejoined the band for their 90s version as well. Der Musiker, Filmmusikkomponist und Produzent Lothard Meid, der unter anderem bei Embryo, Passport und Amon Düül II spielte, ist am 3. November 2015 im Alter von 73 Jahren gestorben. Dies meldet unter anderem Renate Knaup, die Sängerin von Amon Düül II, bei der Meid bis vor kurzem noch als Bassist wieder aktiv war.